CVT is proud of the work of CVT Jordan, which was established in Amman in 2008. The work has since expanded and evolved in order to meet the growing needs of survivors of torture in the region. Nearly 7,500 individual survivors of torture and war atrocities benefited from the interdisciplinary rehabilitative care offered by the team of professionals at CVT Jordan this past decade. As CVT worked with more and more survivors, the organization learned from them and consistently adapted to their needs. The information that follows provides a history of the CVT Jordan program, work that marked several firsts for the organization. Ten years ago, there were hundreds of thousands of refugees fleeing Iraq because of sectarian violence. Former Iraqi president Sadaam Hussein had been overthrown and insurgent groups, predominantly disenfranchised Sunni groups, targeted civilians and security forces through campaigns of kidnappings and killings. Eager to address the mental health needs of Jordan’s growing Iraqi refugee population, staff conducted a funding assessment and submitted a grant proposal to the Bureau of Population, Refugees and Migration to launch CVT Jordan. Neal thought that the difference between the two proposals was that the first proposal may have been overly complicated in its design, with the second one proposing a program that was more efficient and easier to implement. Amy-Jo C. Versolato, CVT strategic initiatives officer, thinks that by the second year, the Iraqi crisis had reached a point where the overwhelming need for mental health care among Iraqi refugees in Jordan simply couldn’t be denied. She said that the idea of a longer-term mental health intervention was new at the time. Only short-term mental health programs seemed to be available, programs of varying quality that were perhaps even viewed as unnecessary. Amy Jo also noted that now there is a vast array of psychosocial interventions in Jordan. “But there is still no other in-depth, trauma rehabilitation work such as CVT offers,” she said. Beginning to work in the Middle East was another unique facet of CVT Jordan’s launch. By 2008, CVT had worked in four countries in Africa, including Liberia, Guinea, Sierra Leone and the DRC, countries which rank near the bottom of the UN Human Development Index (HDI). Jordan, by comparison, ranked relatively highly on the HDI, with qualified and educated people available on the ground. “It brought up a number of questions,” said Amy-Jo. Specifically, how would CVT work in a country with mid-level resources that still lacked in-depth, specialized mental health care for survivors of torture? Like CVT’s Healing Center in St. Paul, Minnesota, CVT Jordan’s model of care is holistic. Each survivor works with a team of professionals who provide counseling, physiotherapy (physical therapy) and social services as needed. CVT Jordan was the organization’s first international attempt to become interdisciplinary. Although the program provided physiotherapy starting in its second year of the program, initially it lacked a physiotherapist trainer to build capacity further. Furthermore, for Simone it didn’t seem ethical for an integrated health care provider to receive support in just one area (counseling) from a funder. So in January 2013, CVT Jordan began to receive financial support from the U.S. Agency for International Development for physiotherapy. In addition, up until this year, CVT Jordan was the organization’s only international project with a social services component. The social services team works closely with clients to identify their needs, such as legal services, food assistance, assistance navigating complex protection issues and hospital services. While a focus on social services was part of CVT Jordan’s initial set-up, for years the division worked in isolation without much support. It wasn’t until the influx of Syrian refugees in Jordan that CVT was able to raise funding levels and address the need to support social services as well. Social services work at CVT Jordan has significantly expanded in the past five years—not just because of increased funding, but because of how well respected and trusted the team is. Ahmad Al-Shouly, CVT Jordan’s social services manager, has played a key role in the program’s success and longevity. Ahmad was initially hired as a social worker but later became CVT Jordan’s social services coordinator, the position in which he largely shaped the program and strengthened CVT Jordan’s external referral mechanisms and referral partnerships to address the ongoing unmet needs of CVT’s beneficiaries. In Ahmad’s current role as social services manager, he supervises CVT Jordan’s team of social workers and provides external educational support to help other organizations better meet the needs of war and torture survivors. Refugees living in an urban setting face very different challenges from those living in a camp setting. One of the paradoxical “benefits” of refugee camps or settlements is that services provided by referral partners often aren’t far away, even though the camps can be quite large and isolated. The refugees themselves, in an urban setting, have to do a lot of navigation, which can be time consuming and expensive. This is particularly true in regard to social work. Finding adequate partners to refer to is a challenge. Refugees in Jordan have different rights, different systems. Since the Jordanian government doesn’t have blanket rules for all refugees, humanitarian work needs to be negotiated bilaterally. As Moath Asfoor consistently observes in his role as CVT Jordan’s outreach and partnerships manager, no matter how well CVT Jordan staff understand the constraints of the government, addressing ongoing humanitarian needs within such a complex system is, to say the least, exhausting. CVT Jordan staff is in agreement that this is likely due to the high number of child clients who are primary survivors of torture. In fact, 29 percent of CVT Jordan clients in 2016-17 were children. As one might imagine, for staff, working with children is very different from working with adults. It’s something that affects everyone in the organization, from psychosocial counselors to drivers. And it is part of how systematic the abuses have been in both the Syrian and Iraqi conflicts CVT Jordan addresses. Intergenerational trauma among clients at CVT Jordan is extremely common. This is not only because of specific targeting, but because of clients experiencing wave after wave of oppression—fleeing and having to flee again. The constant and sudden need to flee only compounds a survivor’s existing trauma. 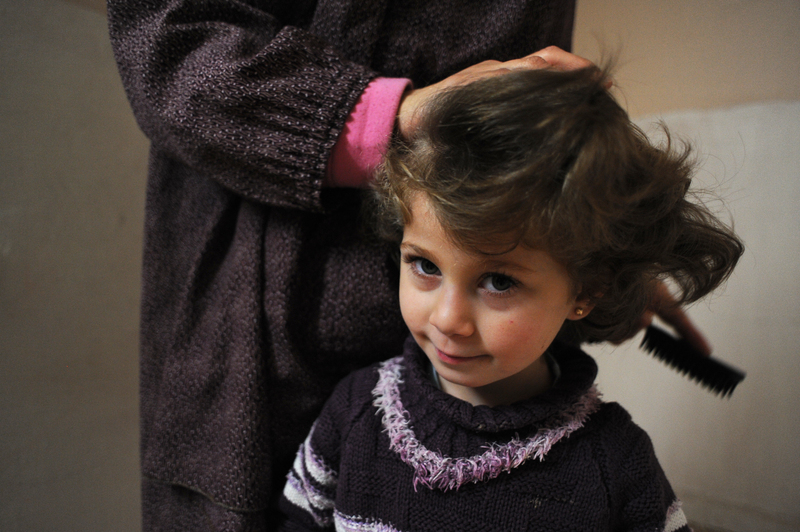 Because of these complex needs, CVT Jordan recently developed a new service model for children and families. From her discussions with clients, which she described as “energizing,” Veronica witnessed firsthand the incredible impact of CVT Jordan’s new and improved family care. Integrating sustainability into CVT Jordan’s approach from the start has, for Simone, been key to the program’s success—and a contributing factor in its growth. Since its inception in 2008, CVT Jordan has received nearly $27 million dollars in financial contributions, making it not only the longest-running, but the largest, of CVT’s international services programs. CVT Jordan has also served nearly 7,500 clients to date. It’s been interesting for staff to observe not only growth, but the way in which CVT Jordan has responded to wave after wave of humanitarian crises: Iraq, Syria, the second wave of Iraqis, the influx of Sudanese/South Sudanese refugees and Somali refugees. There is urgency, but a nuanced approach is also required, especially when all of these crises operate within different humanitarian frameworks. It was Annie Sovcik, CVT’s former Washington Office director, who played a key role in presenting CVT Jordan’s work within a human rights framework. On the policy front, whether it was working with the U.S. government in Washington D.C. or the UN, she recognized that CVT had unique access to information, and a perspective that may be missed in the larger discussions about refugees or long-term justice efforts. She and her staff wanted to make sure that any of the advocacy work CVT undertook on issues that would impact clients – or people in similar situations – was informed by the experiences of the affected populations themselves. Annie’s approach shaped other CVT programs, like SOTI, the Survivors of Torture Initiative. Rooted in the goal of incorporating a more holistic view of rehabilitation for CVT clients, in addition to the therapy and social services support they were accessing, SOTI provides avenues to empower survivors to use their voices and share their experiences to promote justice and accountability, whether in Syria or Iraq or elsewhere. “As one of the psychotherapist trainers in Jordan once commented to me,” said Annie, "’Torture is used to silence, and this is one way that CVT can help its clients restore their voices.’"
In many ways, CVT Jordan has become a pilot project for new interventions, models and approaches, as demonstrated by SOTI and CVT’s new project in Iraq. While the program’s sustainability plan isn’t necessarily a complete program strategy, it does serve as a roadmap for achieving major strategic goals and tracking successes. Among those successes is the increase in CVT Jordan’s national leadership. Initially, the program hired international leaders as clinical experts to train national staff, but over the years the portion of national staff in those leadership roles grew—just as CVT Jordan’s sustainability strategy intended. Inevitably, there’s been staff turnover. But even when national staff members leave to pursue other opportunities in the field, because they’re now in regional positions, the knowledge and expertise they’ve cultivated at CVT are spreading to other parts of the region. One staff member noticed that some regional mental health organizations now make a point of hiring former CVT employees. Other former staff members have gone on to implement interventions in response to humanitarian crises in Jordan, Iraq and Lebanon. 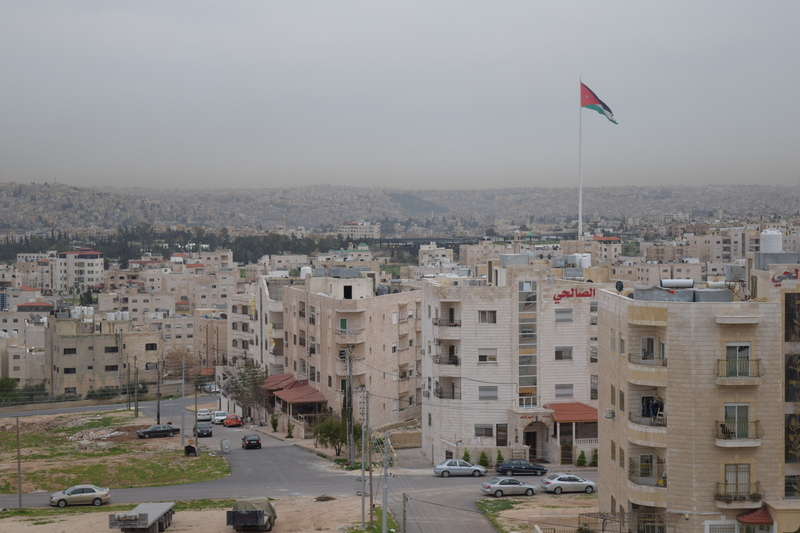 This has allowed CVT Jordan to be perceived within the region as an international organization, and there’s increased interaction with CVT as an Arabic one. CVT staff are in demand for trainings and partnerships; conferences look to them to speak with confidence on the issues that they’re presenting and attempting to address. Click here to see more details about the work at CVT Jordan over the past ten years.